The DNN Revolution Is Here! Sharp Look Beta Is Out! After months and months of hard work, coding, testing, debating, discussing, fixing, building, building, building and more testing … we’re getting very close. So what is the Sharp Look Beta Program ? Well, that’s what this article is ALL about… Let’s go through some specifics. For the first time ever, you’re about to see what Sharp Look is capable of by playing with live hands. And I’m about to show you some of what Sharp Look has to offer. 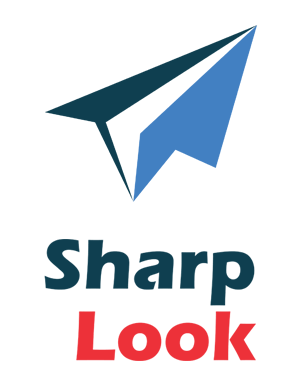 The Sharp Look Beta Program is a fun way to help shaping the future of DNN by test-driving the beta version of Sharp Look and letting us know what you think. Your comments will help us make Sharp Look closer to your needs. You will have a chance to experience the DNN game changer firsthand, share your insight and spark ideas with us and help make a better product. As you probably already know, DNN Sharp is 100% driven by community. We are extremely thankful for help and support we’ve had from users over the years, so much so, that we built this program in order to get the next big thing for DNN closer to your needs. The Sharp Look Beta Program is designed as a way to reward and incentivize positive contributions to our community. Well guys… joining the Sharp Look Beta Program you will be part of the change in DNN. This program will provide you with tremendous personal and professional rewards. This is also a great chance to expand your understanding by taking a hands-on approach to learning. Remember that you'll have the chance to exercise your experience with a new and innovative product that wil revolutionize DNN. You’ll have also a unique opportunity to be social and network with a like-minded group of DNNizens interested to influence features that will make their lives in DNN easier. In this way you will be recognized as an expert and a part of an exclusive group of testers. The Sharp Look Beta Program is open to anyone. To join it, just sign up here if you haven't already done so. Install the latest pre-release software you will be receiving, then go ahead, start using it and let us know of any quality and usability issues you encounter. When you come across an issue that needs addressing, report it directly to the Sharp Look support forum. Please note that since beta software has not yet been commercially-released it may contain errors or inaccuracies and may not function as well as commercially-released software. Be sure to install it only on non-production or portals that are not business critical. The Sharp Look Beta Program is voluntary. There is no compensation for your participation. We cannot expect your feedback to be honest and reliable if you’re being paid to give it. The whole point is to get unbiased and honest feedback. However, for the most active testers we have some really nice surprises :-). Sharp Look in its most primary form has been developed out of frustration. Frustration with the lack of options and support for the everyday DNN user and the small business owner that lacks the skill set required for successful development and design of their DNN site. Nearly one year ago, we began putting together plans for a brand new framework gathering feedback from hundreds of customers in our awesome community. We searched through over 10000 help desk interactions and surveyed our friends in the community to find the things people really wanted from a skinning engine. There are hundreds of DNN skins available on DNN Store and every day I see more brilliant work from the DNN community. Developing DNN skins it’s a thriving enterprise offering incredible value to consumers but I don’t know how to choose the right one. Most of the skins available incorporate impressive animations and design elements that attracted me in the first place but they didn't empower me to easily customize them. I'm not interested in writing code or working with shortcodes, so these skins aren't the best option for me. I'm thinking also to resist the temptation to purchase the most beautiful skin because unfortunately I see that the basic marketing principles are often lost in the skin development at the cost of a trendier layout. Firstly I'm thinking about conversion. In other words, I need the skin to facilitate an action from visitors. This is the universal objective for every website on the net: encourage an action, whatever the action may be. But if I can’t customize the layout myself then it’s just not worth it. Should I choose a skin based on aesthetics or functionality? Unfortunately I couldn't find yet something to suit my needs: good looking and easily customizable… Michael D.
I'm looking for a responsive DNN skin that can be configured from mobile and tablet devices. Could you guys build such a touch enabled DNN skin or could you give me a hint? Oscar W.
I want to customize the appearance of a DNN portal and I want to make good design decisions. I'm pretty new to DNN and I'm not a design savvy. I’ve noticed among other things, that DNN is famous for its flexibility and wide array of customization options. A big part of those customization options have to do with design, which unfortunately for non-designers can be both a blessing and a curse. Indeed to that end many premium DNN skins come pre-designed with multiple options and messing things up too badly is nearly impossible. Some DNN users buy those skins specifically because they find those limitations helpful – and that’s great for them. But I would love to see in DNN a lot more flexibility. I think there’s a lot to be gained that way... Richard C.
I’m a complete newbie to DNN. I've tried a few premium skins already and I had to heavily modify the code to accommodate a design. This is pretty sad. I came from Wordpress where there are a couple of themes frameworks loaded up with high level of control and flexibility speeding up the process of designing and developing a website without sacrificing the quality of the end-result. Could you build such a toolkit with layouts editor, predefined templates-driven, keyboard shortcuts, more optimized for usability in DNN? Douglas J.
That’s how we began to build up a picture of the “perfect” system for designing DNN portals. We set out to build a solution to be easy to use, powerful and more flexible than anything currently on the market. From the very beginning, our desire was to build a solution to become the industry tool of choice. One (long) year later, we’re proud to announce that what we call the DNN game changer, Sharp Look, is almost ready for launch. It taxed our brains a bit, but in the end we have come up with a great solution. Never before has it been this simple for you to create and customize stunning designs in DNN without coding and graphic design skills. As much as Sharp Look 1.0 is our focus and goal, this is only the beginning. After 1.0 is out the door, we are going to continue development at full speed. Guys, we are playing the long game and we would really be very happy to join us on our journey to take DNN to the next level. Over the coming weeks we will be releasing more “behind the scenes” information on Sharp Look and making some very important announcements. We’re excited! We think Sharp Look will set a new standard in DNN and we hope you’ll agree. What we are building and where we are going with Sharp Look seems to really excite a lot of people - ourselves most of all. What do you think of the upcoming Sharp Look release? Are there any features that you’re particularly pumped for? Let us know in the comments! Sharing is awesome too! Ionut is a certified Scrum Master and Product Owner steeped in the art of the dreaded Agile Coaching. He enjoys shawarma and finding people who have never heard of Agile Methodologies so he can turn them into agilists. His work exists at the intersection of Agile thinking, anthropology, psychology, and Online Marketing. Weird, right? He doesn't just deal with coaching, he lives and breathes it. After all, he wakes up every morning eating hot trends and topics for breakfast. He’s able to talk the talk and walk the walk when it comes to topics like Coaching, Agile Methodologies, Process Optimization, Agile Project Management, Product Development, Six Sigma Quality Management, Lean Thinking, Business Process Management, Kaizen, Facilitation of Change, Lean Software Development, Kanban. DNN Sharp is his oyster and on a day to day basis, his role is to keep DNN Sharp's teams engine firing on all cylinders. We'll Be at DNNCon 2014 to Introduce to You The Next Big Thing for DNN!